This remarkable 97-year-old woman tells the story of her youth on a California ranch in the early twentieth century. She seems to remember every detail of farm life in that era before mechanization, from the labors of men, women and children to the organization of the farm, even the tools and equipment they used. She writes lyrically of the beauties of the land and of fun with her ll brothers and sisters. 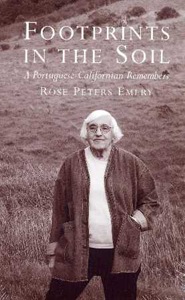 But she also recalls the prejudice that Portuguese-Americans met in the community. And she tells how she tried to evade her father’s old-country prohibitions about “immodest” dress, dancing, and high school for girls.